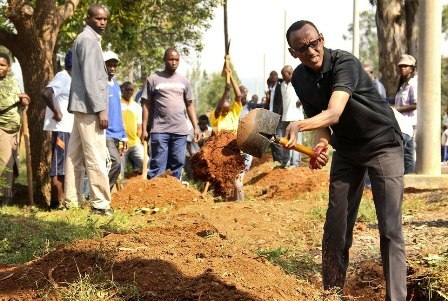 Leading with example;President Paul Kagame participates in community work. Today as usual, I took part in ‘Umuganda’-community work and unlike my usual routine of just ‘taking part’, I started taking a ‘closer look’ at this unique activity which usually takes place every last Saturday of the month; it is a uniform activity by the way- dedicated to nation building and development by everyone. Organized at ‘Mudugudu’ (village) level; by 8:30am, we were all assembled- first for a briefing on how the work was to be done. Widening one of the village roads was the task of this day and immediately, we began; armed with: hoes, spades, pick hoes and other necessary tools to make this possible, we began. Work went on, just well; amidst joyful conversations amongst the village mates. Indeed It’s a get together and as said by the ‘Mudugudu chief’- we get to know each other better. The chatting happily indeed creates these moments; ‘symbol of Unity’ that you too when there can witness and appreciate. Not very many we were- mostly old men and women, the aged…and a few ‘youth’-this drew my attention more, since they are; younger, stronger, more able and more so ‘Tomorrow’s future’!. But, this is shared worldwide, today’s youth are passively involved in most activities. 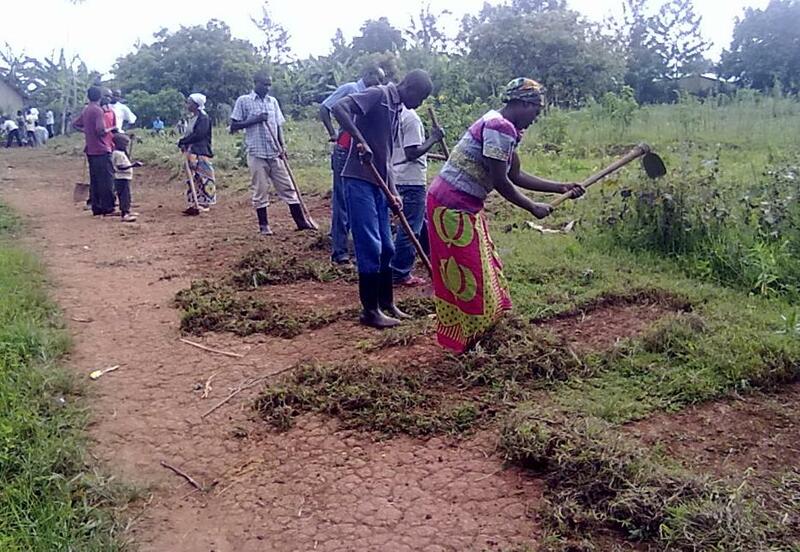 Umuganda makes a difference not only in me but to many others; a lot is learnt as people get closer to their leaders. Not even the President stays behind on this day- a great inspiration to all. We can never makeup without messing up first, have a vision without dreaming, rest without fatigue, run without walking, view without sight, fight without anger, love without hating, rule without being ruled, cry without pain, rejoice with out achievement….